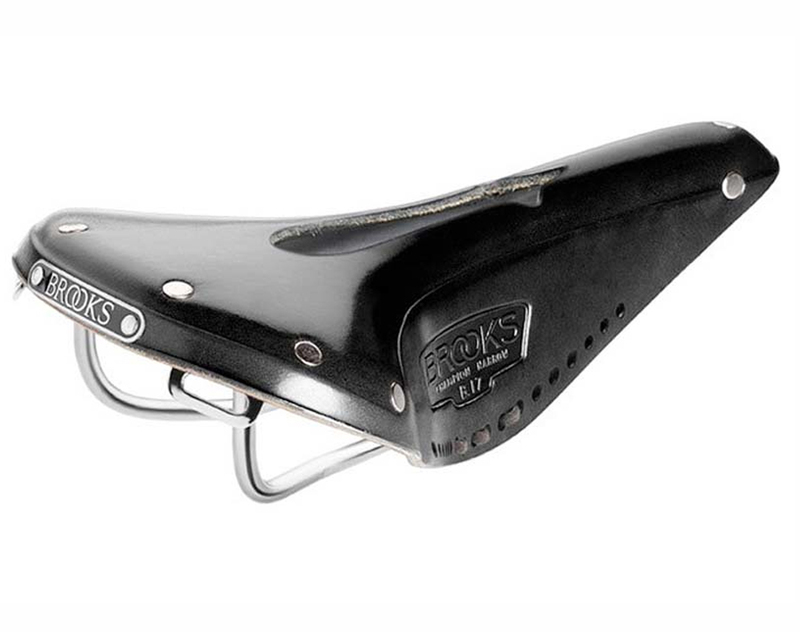 The B17 Narrow Imperial is another variation of Brooks time-honored B17 design, featuring a distinctive cut-out section in the top of the leather, first conceived and registered by Brooks over a century ago. In the catalogue of J.B. Brooks & Co. dated 1890 a model called the B86 Imperial, with its unique “registered cutting”, is described as “a sure preventative to all pereneal pressure”. Another distinctive feature of the B17 Narrow Imperial are the perforations along the lower edge of the leather sides, which are threaded together one side to the other by a lace. This can be adjusted to help maintain the saddle’s shape and provide comfort in the long term. Tying the leather lace tightly pulls the sides of the saddle closer together, conversely loosening the lace enables the saddle sides to splay slightly further apart. 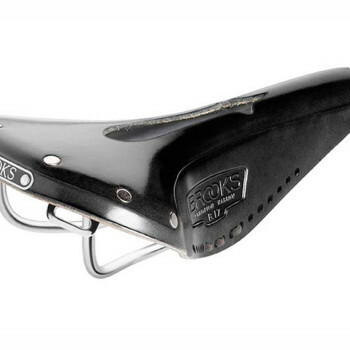 This sideways fine-tuning of the B17 Narrow Imperial is of course in addition to the usual fore-and-aft tensioning mechanism common to all Brooks Saddles.